TEFAL QUICK CUP HOT WATER DISPENSER WITH NEW WATER FILTER NICE CLEAN USED CONDITION. HERE WE HAVE A TEFAL QUICK CUP HOT WATER DISPENSER IN FULL WORKING ORDER BYT NEEDS A NEW FILTER. NO BOX OR MANUAL. In fact, Quick Cup provides an energy saving of up to 65% compared to a standard kettle, helping you to save on bills too. Tefal energy experts have calculated that there could be a £31 cost-saving per year using Quick Cup compared to an ordinary kettle. 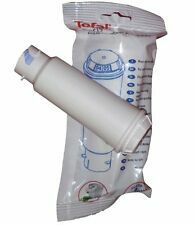 GENUINE TEFAL QUICK CUP AND HOT RANGE WATER FILTER. Compatible with:Claris Water Care, TCZ6003, 461732, F 088, F088 0, Quick-Cup, XH500110, XH500104, XH5001, GLM30294. 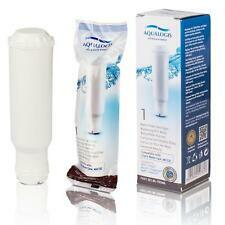 This filter is compatible with Tefal Quick Cup Antiscale water filter. MACHINE FILTER. Genuine Tefal. The filter is drectly connected to the tank of the Quick Cup. Improves the Quick Cup longevity, removes temporary hardness. Healthier water: copper, lead, pesticide reduction. Part No MS0697721. Tefal BR303 Quick Cup Water Tank Assembly. TEFAL QUICK CUP UNIT IS NOT INCLUDED. Consists of Tank and Lid. The filter is drectly connected to the tank of the Quick Cup. 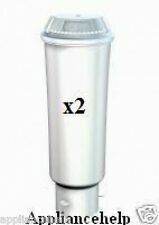 Improves the Quick Cup longevity, removes temporary hardness. Healthier water: copper, lead, pesticide reduction.